While smarting at missing a stream of rarities that continued to spring up at Spurn during the previous couple of weeks, I tried to console myself by twitching rare birds in the south east. 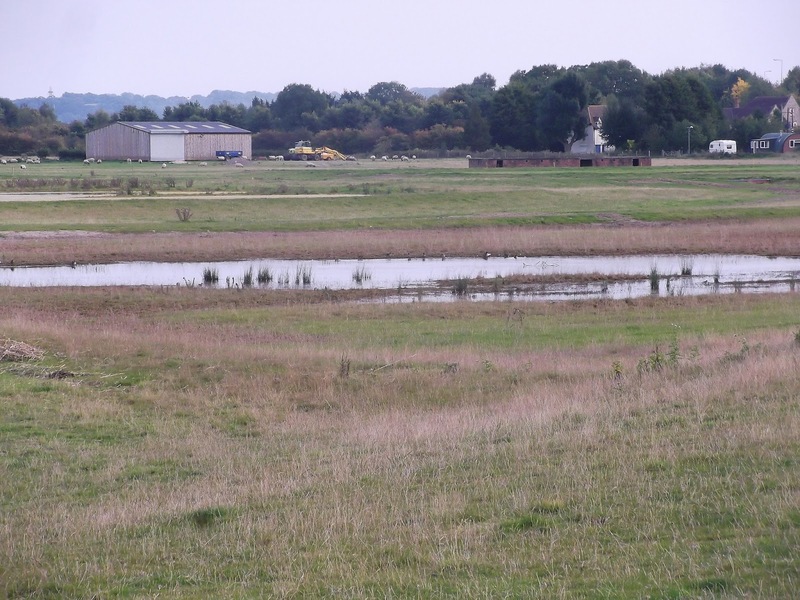 A juvenile Pallid Harrier was identified at The Burgh, at Burpham near Arundel two weeks ago in the same area as the last juvenile Pallid Harrier to entertain throngs of birders in Sussex back in 2011. I had a window of opportunity to travel down to Burpham last Thursday in the late afternoon. I was met by Lee Evans, who had dipped the bird the previous day, but had had more luck this time. 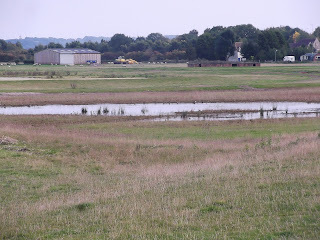 He explained that the best place to view it from was a bit of a trek – more than a mile – to an area called the dewpond looking out over Wepham Down, overlooking the valley where the Pallid Harrier tended to hawk. Time was short as it was already past 5pm, so I pressed on to the viewing spot a good 25 minutes away (I'm not a particularly fast walker). 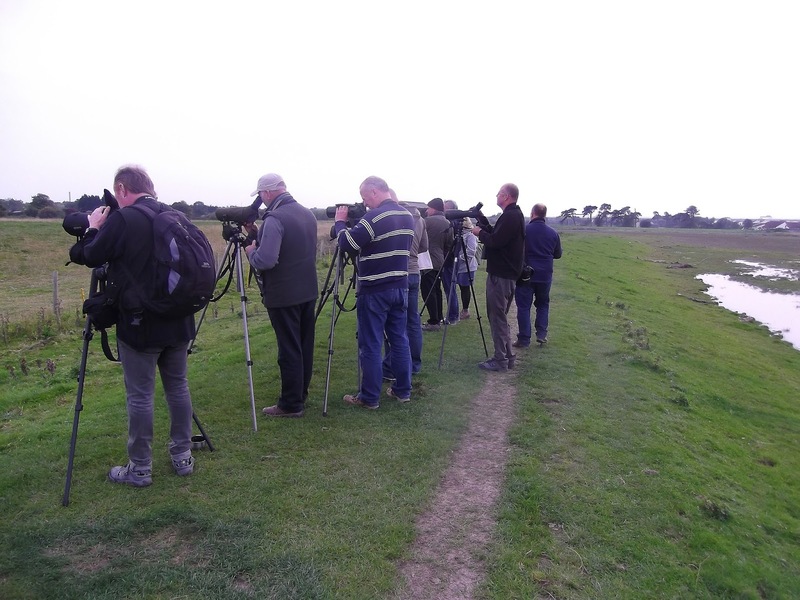 A small group of birders were still gathered there, including two blokes who had been trying to see this elusive harrier since 8.30am. They decided to go for a spot of lunch in the early afternoon and during that time the Harrier made its one appearance of the day! 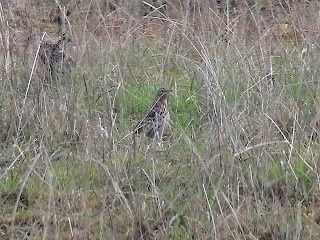 While I stood waiting in vain for the Pallid Harrier to show itself, a juvenile Hen Harrier, two Kestrel and about 15 Grey Partridge gave us something to look at. As the sun set the Pallid Harrier was a no-show. I made the foolhardy decision to travel down again on Monday morning. What an utterly pointless exercise that was! I arrived at about 7.45am just as the rain started to fall. From then on the weather got gradually worse until the rain became torrential. All I managed to do was get completely soaked to the skin and thoroughly dejected. A Red Kite and a Common Buzzard were the only birds of interest in the gloom. Fortunately, these two dips were interspersed with an unexpected bonus on Sunday afternoon. Annie and I were visiting friends in Wales over the weekend when a Red-throated Pipit was discovered on the Pilning Wetlands, near New Passage by the River Severn. 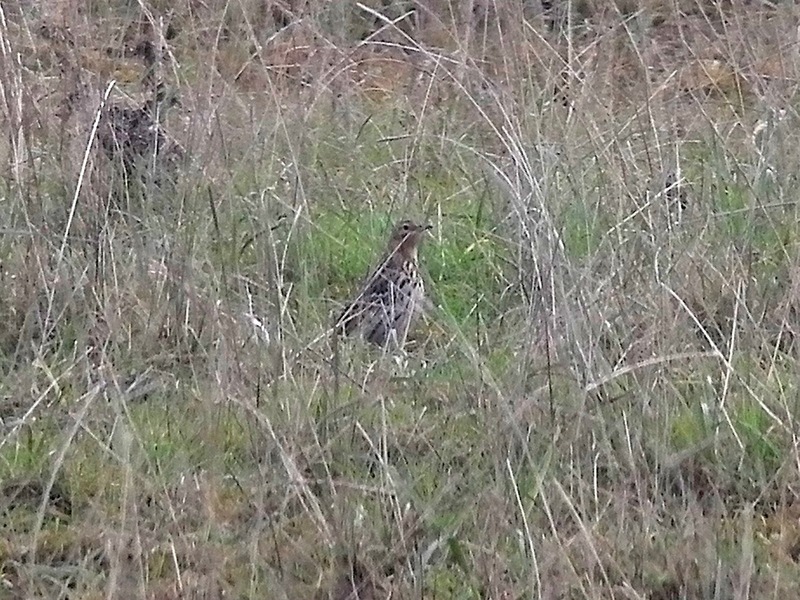 The Pipit was still present on Sunday morning, so on our way home in the afternoon I was able to give it a go. It was clear from comments from birders walking back from the viewing area that this Pipit showed occasionally but would go missing from time to time. 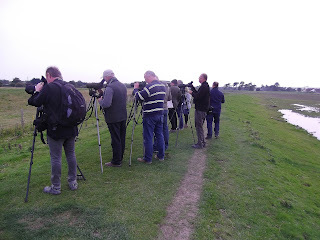 All you can do on a twitch for an elusive bird is hope you've timed your visit right. Twitches are all about timing. I could have turned up two hours earlier and seen nothing or as luck would have it, arrive 15 minutes before it showed itself. It's simply pot luck. And my luck was in. 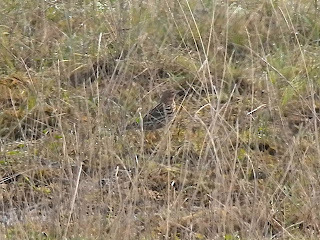 I hadn't expected to be able to go birding over the weekend, so I hadn't brought my scope with me, and binoculars weren't exactly giving great views – added to which the Red-throated Pipit often stayed in longish grass. 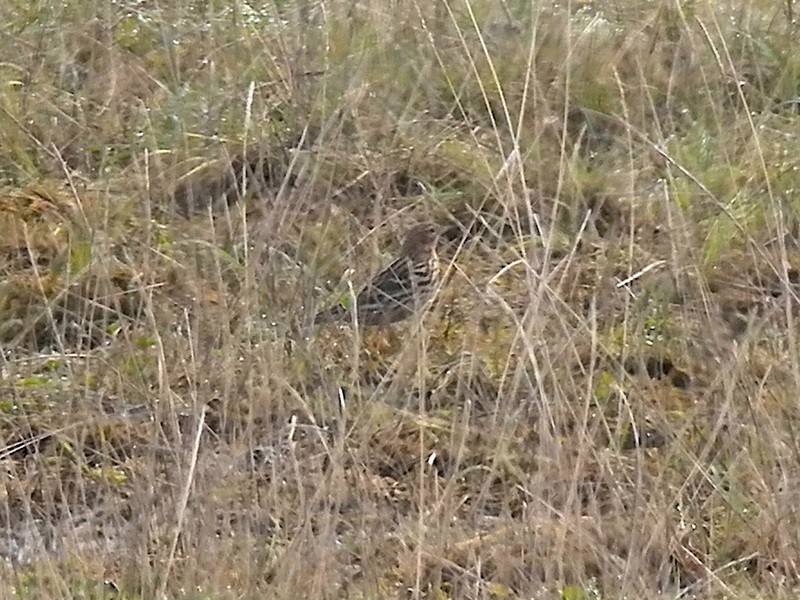 All the guys present were all very helpful, however, and three local birders, including Martyn Hayes, who runs the Birds of South Gloucestershire website, allowed me to see the Red-throated Pipit in better detail. Thanks also to Brian Lancastle for sending me his photos from the twitch. A stunning bird. The following day the Pipit had gone.